Featured » Run for your Park! The SPES “Stanley Park Striders” running team. Ready for the 5k! 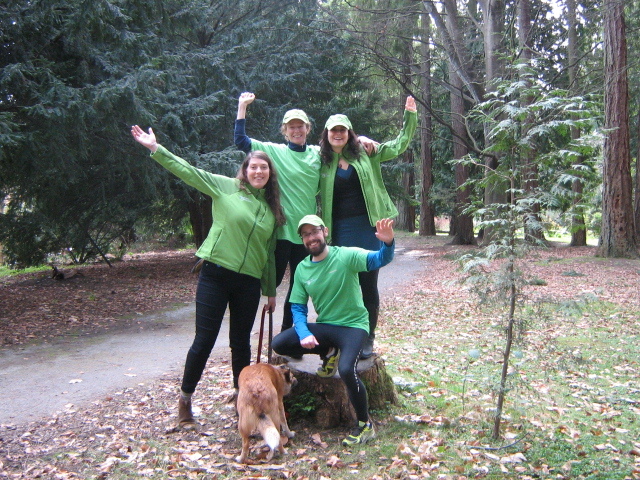 Come out for the Running Room’s annual St.Patrick’s Day 5K in scenic Stanley Park and support the Park’s stewards of the future! Get a FREE ENTRY into the race by donating $30 to SPES before Tuesday, March 10. 100% of your donation supports SPES’ education programs – connecting kids to nature and investing them as stewards of Vancouver’s great, green Park! * Click here to donate and receive your FREE entry code. Look for our SPES “Stanley Park Striders” team! We’ll be running and walking our legs off for the Park on March 14. Count yourself part of our team with a donation to SPES’ education programs! Click here to donate anytime, tax receipt included (no race participation necessary). They come for the race…they stay for the party! Race entry includes admission to the Granville Island Brewing After-Party in the newly restored historic Stanley Park Pavilion: Green beer, good food, DJ and lots of FUN! Help Stanley Park Ecology Society connect kids to nature! *Click here for information about SPES’ education programs.